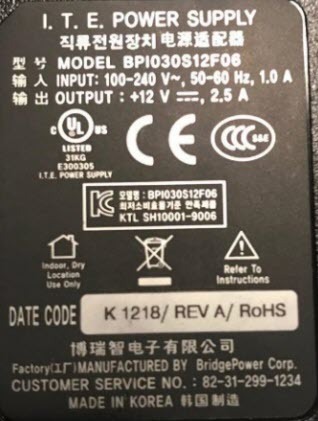 Based on the electronics information on these power packs, would the new model's adapter be compatible with the old model device? The second model of the Power Supply appears to be rated at half the power of the first model as per the specifications (i.e. 60W v/s 30W respectively). I'd say its not adequately rated. Not the answer you're looking for? Browse other questions tagged power-supply power amperage or ask your own question. 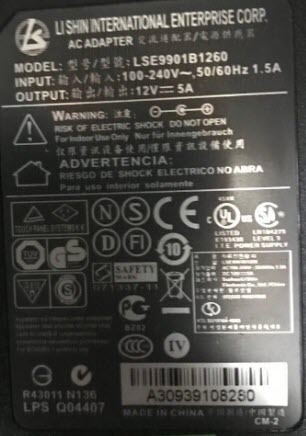 Would a laptop charger at incorrect voltage fail to supply power? Power source interference on Bluetooth audio module? How do power adapters automatically detect the output voltage? How to derive voltage applied to an antenna, where transmitter power is known & identical tx/rx antennas are used with known gain/impedance?